Oppo recently announced a new sub-brand called “Reno”, which will feature the company’s 10X lossless zoom technology alongside high-end specifications like the Qualcomm Snapdragon 855 SoC and a 4,065 mAh battery. We recently saw leaked case renders as well as a video which featured the phone’s unique swivel pop-up camera in action, showing off yet another take on how to maximize screen real estate and consequently, hide the front camera. 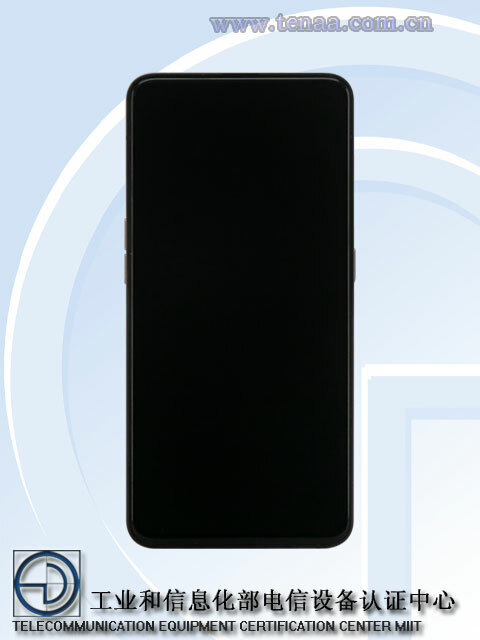 Now, two models of the upcoming Oppo Reno have been spotted on Chinese certification authority TENAA’s website, though these models appear to belong to a “Lite” variant of the device. 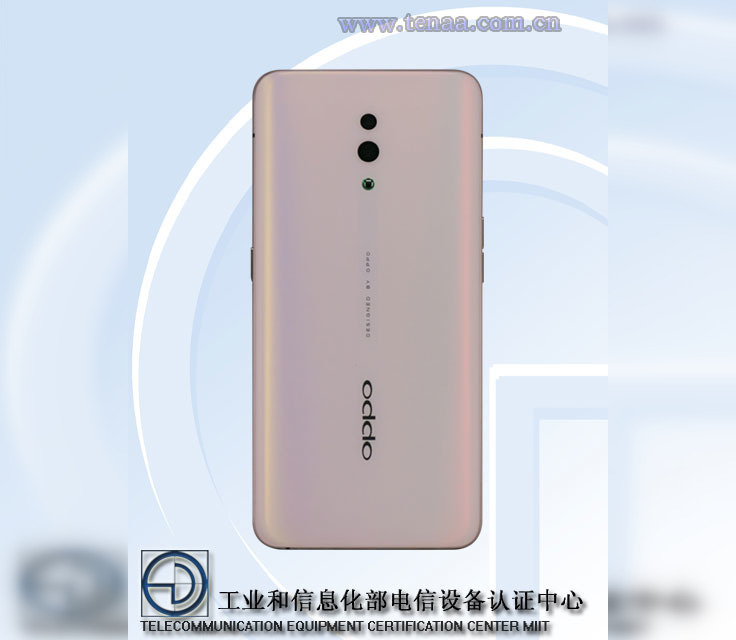 TENAA listings were spotted for two identical Oppo devices, namely the Oppo PCAM00 and the Oppo PCAT00. 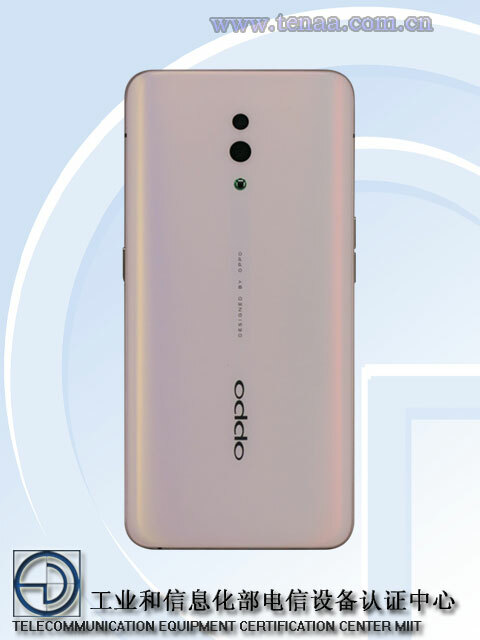 According to these listings, this variant of the Oppo Reno will measure in 156.6×74.3×9.0 mm, weigh 185g and have a 3,680 mAh battery. The phone also has a 6.4″ FHD+ AMOLED display. We could not spot the front camera on the product images available on TENAA, which suggests that the phone has an alternative front camera setup (and thus pitching this listing to be inline with the previous leaks about the swivel pop-up camera). The listing suggests that the Reno will sport an octa-core CPU with max clock speed of 2.2GHz. An AnTuTu listing of the Oppo PCAM00 suggests that this CPU is the Qualcomm Snapdragon 710. TENAA listing also mentions RAM options of 6GB and 8GB, while storage options will include 128GB and 256GB. The camera setup on the device will involve a 48MP primary rear sensor and a 5MP secondary rear camera. The TENAA listing mentions that this variant does not support optical zoom. The front camera will be a 16MP snapper. The Oppo Reno will also launch with Android 9 Pie out of the box. The phone will also come with an in-display fingerprint sensor. Oppo’s Reno sub-brand’s first smartphone is expected to come with the Qualcomm Snapdragon 855 and 10X lossless zoom. 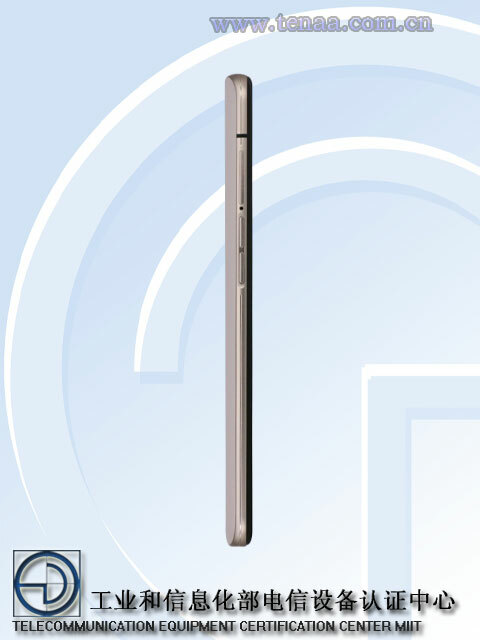 However, the variants spotted on TENAA are comparatively inferior in specifications, suggesting that there will be at least two different device configurations. Oppo may choose to label the PCAM00/PCAT00 variants as the “Lite” variants, or it could choose to call the flagship as “Pro”, or do some other marketing name juggling — we’ll find out on April 10 when the first device launches.